Tired of fake news pushed by dishonest media and crooked politicians? 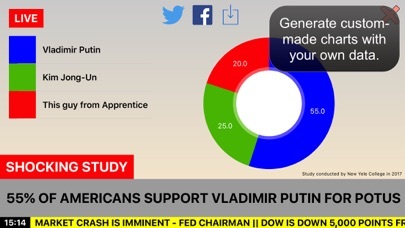 Create your own ‘real’ news and ‘real’ charts and keep traditional newsmakers out of work! 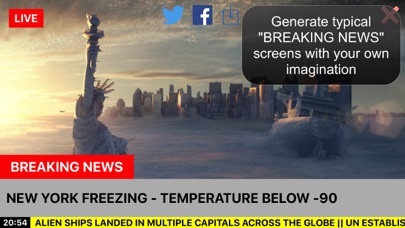 This simple but powerful app allows you to: • Generate typical “BREAKING NEWS” screens with your own headline, photo and feed • Generate custom-made charts with your own data [available in the Full Version] • Share them with your friends. Don’t let fake media fool your anymore! Let’s fool them instead!